Is Bloodrush a instant or sorcery ? 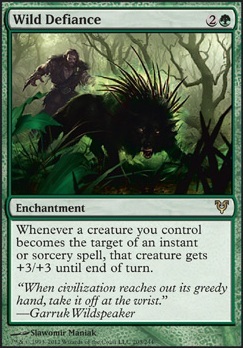 Whenever a creature you control becomes the target of an instant or sorcery spell, it gets +3/+3 until end of turn. rdean14, those are all meaningful insights. 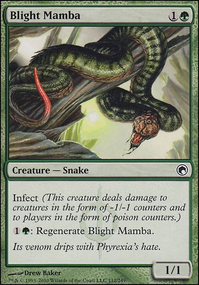 I am hesitant to make any changes, because infect works on a linear basis; all the decks cards work towards a singular purpose, and that is to play the infect creatures and get 10 poison counters as quickly as possible. I follow a lot of pros that use infect in competitive play, like Aaron Baritch and Tom Ross and Andrew Jessup, and they all have roughly the same, optimized list. They’re playing against decks and archetypes like yours, and in many cases with even more powerful cards, and they’re still putting up high finishes in tournaments. 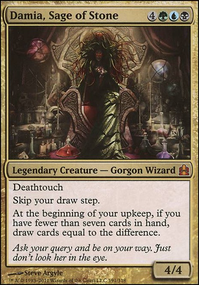 In SCG Worchester this past week, Aaron Baritch went undefeated until round 14. 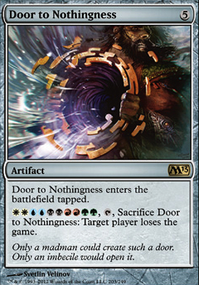 That tells me that while some matchups aren’t great, they’re not unwinable.Also, a very important thing to note, is that when you’re play testing decks on this site you cannot have access to the sideboard. My cards and my sideboard like Spell Pierce and Wild Defiance and Spellskite are in there for highly interactive matchups, like burn. I’ll try to answer your questions in order. In relation to the investment, if you have $30 a month to spend I would spend it like this: 1 Inkmoth Nexus and 1 Windswept Heath 4 times, then 1 Wooded Foothills and 1 Pendelhaven 2 times, both Breeding Pool one time, then the last 2 Flooded Strand the last month. That’s the most expensive part is the land base in 8 months. If possible, buying all of the inkmoth nexus at the same time would be ideal, but the previous plan I laid out also works. The positive point of that is every month that you invest your deck it’s a little bit better and so you’ll start seeing better results almost immediately. Definitely get those birds of paradise or noble hierarchs. You’ll start to see an immediate difference. Slip Through Space is one of those cards that a lot of people have a Lotta different opinions on based on your playing style. Personally, I prefer getting to spell’s for the price of one, just because it makes your creatures that much harder to play around for your opponent. Become a man’s is, like you said, not terribly essential, but it does make for some seriously busted play. 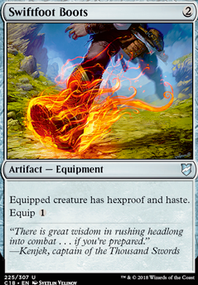 Mono Redburn isn’t our best matchup, but with my version it is capable to out race their burn. 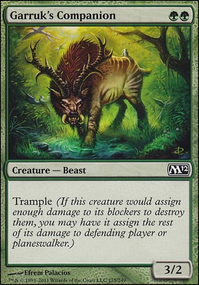 The biggest point with burn is you need to be careful with your own fetch/shock and you need to find a good big turn to go off.In those games, I almost always bring in my three sideboard Wild Defiance to mostly ruin my opponent’s targeted burn. In that kind of game, you’re going to be using a lot of your protection spells like vines of the vast word and Become Immense to save your creatures until you can stick wild defiance. That’s also a really good game to bring in some sideboard copies of Spellskite . As an Infect player, I like both vs burn. If burn is currently your biggest issue, side 2 Wild Defiance and keep both spellskites in. If you're still having issues look at more Dispel , Negate , Spell Pierce etc to side in, so your deck turns more from aggro to control. Personally I'm not a fan of Kitchen Finks , I've always felt it dilutes your wincons but that's up to you. I don't see any reason for nissa, if you want another 3-drop then finks would fit better. 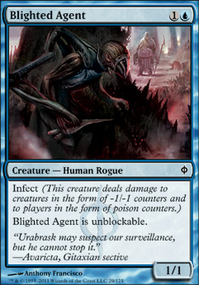 I've never played Finks in Infect, but the card's very good (though Skullcrack is a serious bummer). And though Nissa VOZ is fine (in Ponza, anyways), I'd never bring her in for Burn. If you haven't already done so, you might also ask over on r/Infect. Also does any1 think this is a match where i should board in Nissa, Voice of Zendikar ? what are your thoughts on which is the best and at what number?